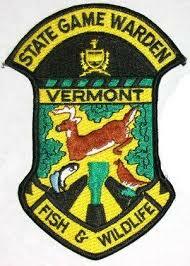 Sharon VT – On 10/30/18 at approximately 1816 hours, State Police received a report of two males in an altercation on a Grey Hound bus at exit 2 northbound on I-89 in the Town of Sharon. Investigation revealed the accused, Anthony Langlois, removed items including a passport and credit cards from another passenger’s purse. Langlois 21, of Plainville MA was taken into custody and transported to Hartford Police Department where he was processed. 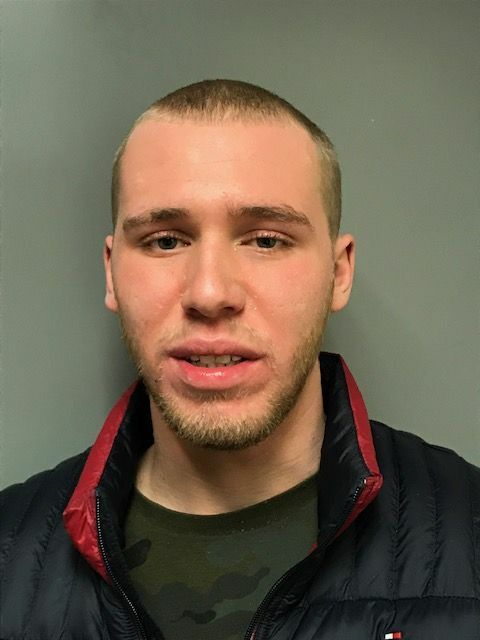 He was then released on citation to appear in Vermont Superior Court Windsor Criminal Division on12/04/18 to answer to the charge of Possession of Stolen Property and Larceny from a Person. Newport School Board and Newport Teachers Association reach Impasse in Contract Negotiations. Newport NH – The Newport School Board ratified a negotiated contract with the Newport Teachers Association (NTA) for the 2018-19 academic year and this contract failed as a warrant article in the March 2018 school district budget vote. The failure of a community to adopt a ratified contract has a negative effect on the School District. In the education profession, it is typical for a teacher to receive a year of service for each year in the profession in the form of a “step raise” that provides a guaranteed raise through the collective bargaining agreement. In Newport, we have teachers who have gone 7 years without a raise and are “7 years off step.” This results in low morale among the staff. The Newport School Board has heard many of the concerns of the citizens regarding the teacher contract, including difficulty hiring beginning teachers because of low pay, concerns about teacher retention, “off-step” salary schedules, and health insurance premiums. Because of these shared concerns, Newport School Board requested the opportunity to negotiate with the NTA in August, 2018. After several opportunities to negotiate and a day long meditation, the Newport School Board and Newport Teachers Association were unable to agree upon contract terms. The Newport School Board presented a set of proposals that addressed all of the priority issues voiced by the Newport community and teachers alike. The Newport School Board realizes that having salaries that are not competitive with other districts in the region causes further erosion of our educational programming and services for our students. The Board provided a salary schedule that brought salaries in line with regional median values to entice new teachers and corrected the step concern to retain our current teachers. The Board pursued a contract that would ensure that resources were allocated in a manner to best meet the educational needs of all students. The proposal was designed to promote working conditions that would attract and then retain the best possible faculty for our children. The Newport School Board and the Newport Teachers Association reached an impasse after mediation. The next step after a declared impasse is a fact-finding process. The Newport School Board and NTA have set dates to move forward with this process in mid-November. The Board and the NTA are also able to continue negotiations to work an agreed resolution prior to the formal fact-finding hearing. The Newport School Board is committed to ratifying a contract that best meets the needs of our children, our teachers and our community. Please direct all questions to Dr. Cindy Gallagher, Superintendent at (603) 865-9500 or cgallagher@sau43.org. MANCHESTER, N.H.– With the effects of Hurricane Willa expected to impact New Hampshire this weekend, Eversource is keeping a close eye on the track of the storm and is planning accordingly. The energy company’s line and tree crews are ready to respond to any damage or outages caused by the high winds and heavy rains the nor’easter is expected to bring to the region. The company reminds customers to always stay clear of downed wires and to report them immediately to 9-1-1. Be sure to report any outage online at Eversource.com, or by calling 800-662-7764. Customers who signed up for the company’s two-way texting feature can send a text to report an outage and receive outage updates as they happen. Additional preparedness tips can be found at Eversource.com and readynh.gov. LEBANON, NH — Medical mistakes lead to as many as 440,000 deaths each year, making it the third-leading cause of death in the United States. As part of its ongoing commitment to patient safety, Dartmouth-Hitchcock will present an in-depth documentary about medical errors and the work being undertaken to create a new age of patient safety. Through interviews with leaders in health care, footage of real-world efforts leading to safer care, and one family’s compelling journey from victim to empowerment, “To Err is Human” provides a unique look at our health care system’s ongoing fight against preventable harm. Dartmouth-Hitchcock will present two showings of the film, on Monday, October 29 in Lebanon and on Tuesday October 30 in Manchester. The film will be followed by panel discussions including the film’s producer and health care providers and professionals from Dartmouth-Hitchcock They will discuss patient safety issues raised in the film and the work being done at Dartmouth-Hitchcock to reduce medical errors and increase patient safety. The October 29 presentation will be held at 5 p.m. in Auditoria E-F of Dartmouth-Hitchcock Medical Center in Lebanon; panelists in the post-film discussion will include D-H CEO and President Joanne Conroy, MD; “To Err is Human” producer Mike Eisenberg; D-H Chief Quality and Value Officer George T. Blike, MD; Jean Avery, RN, director of the Patient Safety Training Center (PTSC) at Dartmouth-Hitchcock Medical Center; D-H Chief Legal Officer and General Counsel John Kacavas; and Tanya Lord, Director of Patient and Family Engagement for the Foundation for Healthy Communities and the mother of a patient who experienced a medical error at a hospital in another state. The October 30 presentation will be held at 5 p.m. in Mara Auditorium at Southern New Hampshire University in Manchester. Blike, Eisenberg, and Lord will be joined on a panel there by Peter Thurber, operations manager of the PTSC, and Jonathan Thyng, MD, Associate Medical Director for Primary Care at Dartmouth-Hitchcock Nashua. Ruger’s contributions include supplying the Sheriff’s Department and Department of Corrections with duty weapons and they have conducted armorer’s training free of charge for County personnel. 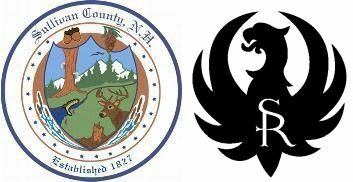 Additionally, they supported the 2018 New Hampshire Association of Counties Annual Conference, which was hosted by Sullivan County, by donating two weapons for a fundraising raffle and helping the town of Newport put on a shooting demonstration for conference guests. The Community Partner Award will be formally presented at the Sullivan County Service Awards dinner on Friday, October 26th, at the Common Man Restaurant in Claremont. 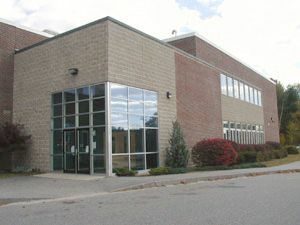 Concord, NH – The New Hampshire Department of Health and Human Services (DHHS) has announced a five-year, $1.85 million grant from the Centers for Disease Control and Prevention (CDC) that will help the Granite State improve and sustain oral health. The funding will go toward promoting oral health in three targeted areas: assisting school children who face barriers to dental treatment; ensuring fluoride optimization in community water systems; and improving surveillance and reporting of the State’s oral health system. Tooth decay is the most common chronic childhood disease. The first area addressed with the funds is the NH Oral Health Program’s school-based dental programs to promote good oral health care among New Hampshire’s youth. Through school-based dental programs from 2001 to 2014, the percentage of third graders in NH with sealants increased 15% and those with untreated dental decay decreased 14%. Even with these improvements, children in some areas of the state continue to experience higher rates of untreated decay than their peers. The new CDC grant will facilitate a follow up survey of third graders’ oral health and provide services to more students in elementary and middle school-based programs that have a higher percentage of untreated decay. Secondly, the Oral Health Program will work in coordination with fluoridated community water systems to ensure fluoride optimization. This will be done through monitoring of water quality, promoting training, and incentivizing optimization. Community assessments will be conducted to allow the Oral Health Program to better understand community perceptions about fluoridation, and to better communicate the health benefits that have been experienced in key communities throughout the state, including Concord, Durham, Laconia, Lancaster and Manchester. The final grant outcome will be improvements to the State’s monitoring and reporting systems. Oral diseases, risk factors and access to preventive services information will be used in conjunction with data gathered from the New Hampshire Pregnancy Risk Assessment Monitoring System, a joint CDC–DHHS project. 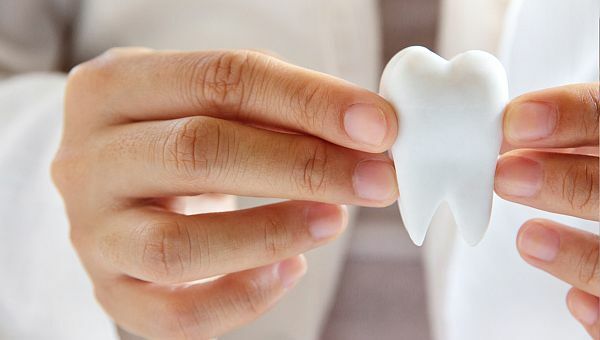 According to the data, a third of women enrolled in Medicaid reported needing to see a dentist for a problem during pregnancy, but only about half actually visited a dentist due to their inability to afford care. Poor oral health is associated with increased risk for diabetes, heart disease, stroke, and adverse pregnancy outcomes. The funding will ensure robust reporting and observation of data gathered from the NH Pregnancy Risk Assessment Monitoring System. Lebanon NH -The Lebanon Police Department would like to invite you to a Public Forum designed to gather input from community members to assist the department in its Strategic Planning process. The Lebanon Police Department will develop a fiveyear Strategic Plan over the next several months. The Strategic Plan will be a guiding document that prioritizes the department’s goals and objectives, outlines how it will meet its strategic goals and objectives, provides metrics to assess the department’s performance, and ensures communication of progress to all stakeholders. It is the goal of the Lebanon Police Department to promote positive interactions between the police and the community to promote transparency and to build trust. 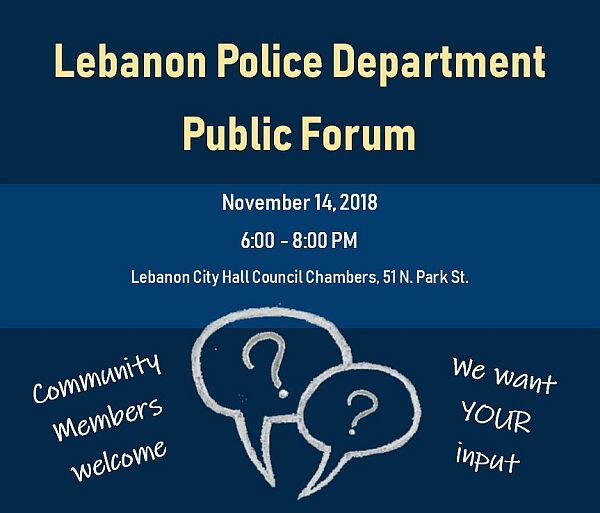 It is the hope of the Lebanon Police Department that the community at large provide input topics, such as effective community engagement, crime reduction and prevention, community priorities, quality of life issues, and overall department performance. LEBANON, NH – Trauma patients – with injuries ranging from those suffered in auto accidents to battlefield wounds – often seem, initially, to be stable, only to deteriorate without warning. If not recognized early, this deterioration in condition can lead to shock or even death. Doctors and researchers in the Emergency Department at Dartmouth-Hitchcock Medical Center (DHMC), as well as colleagues at Dartmouth College, the Thayer School of Engineering, and the Geisel School of Medicine, hope to improve care for seriously injured patients with a new $3 million Precision Trauma Care Research Award from the Department of Defense’s Combat Casualty Care Research Program. The three-year grant will develop an easy-to-use, noninvasive system for the detection of ongoing internal hemorrhaging in soldiers or other seriously injured patients initially classified as injured but stable. The Dartmouth-Hitchcock/Dartmouth College group will collaborate with the Mayo Clinic, the Ohio State University, and Maryland Shock Trauma. “Emergency providers don’t currently have a good way to predict which patients will remain stable, and which will go into shock,” explains Norman A. Paradis, MD, an emergency physician at D-H and a professor of emergency medicine at Geisel, who serves as the project’s principal investigator. The development team will include trauma specialists, engineers, computer programmers, and other experts to create a monitoring system that will gather signals continuously from multiple sites on the patient, using state-of-the-art sensors and computational technologies. 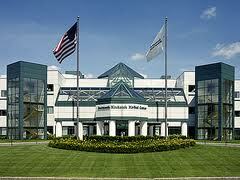 The U.S. Army Medical Research Acquisition Activity is the awarding and administering acquisition office. This work is supported by the Office of the Assistant Secretary of Defense for Health Affairs endorsed through the Department of Defense, through the Defense Medical Research and Development Program, Joint Program Committee 6, Combat Casualty Care Research Program – Precision Trauma Care Research Award under Award No. W81XWH-18-2-0076. Student Affairs – Liz Agosto ’01, made the announcement on Thursday evening. The decision came after Dartmouth received an increased number of reports of hazing incidents this term. Some incidents included thosethat could threaten the health and safety of students. into possible cases of criminal activity. students wearing “unicorn costumes”— not by the external investigator.